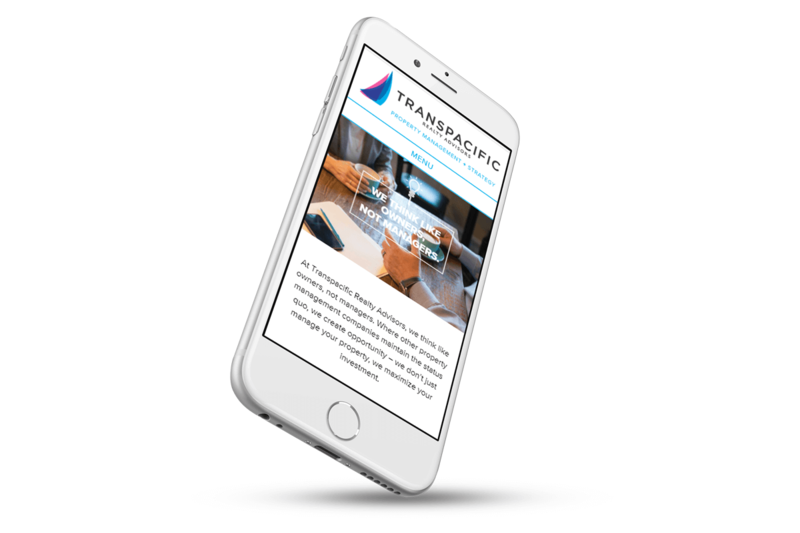 Transpacific Realty Advisors | NetClimber Web Design Inc.
NetClimber had been working with Transpacific Realty Advisors for several years – developing their original website, improving SEO and assisting with social media marketing. 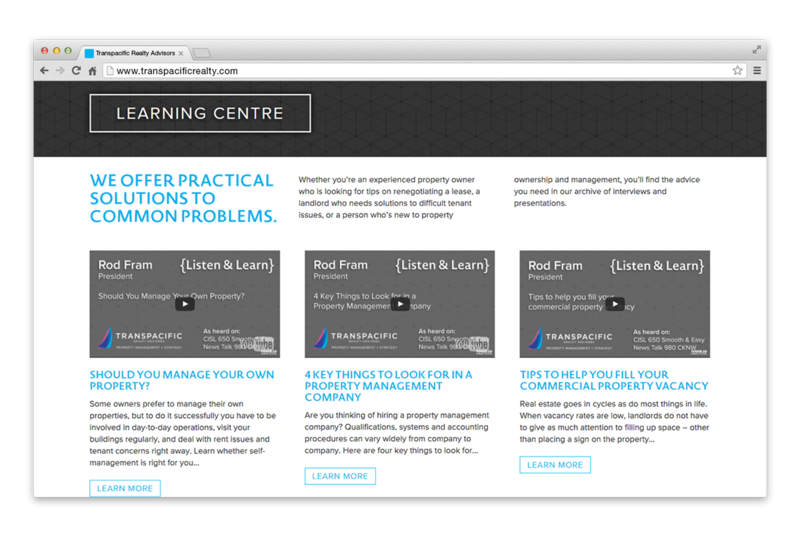 When they were ready to move to a new responsive website we were excited about the prospects of increasing their online potential even further. 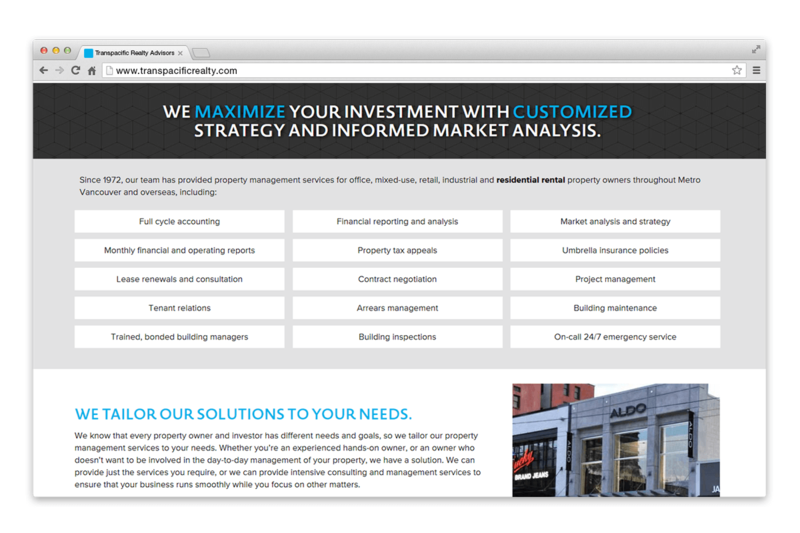 They asked for us to work with their graphic design company to build a new site that was unique, polished, and professional. 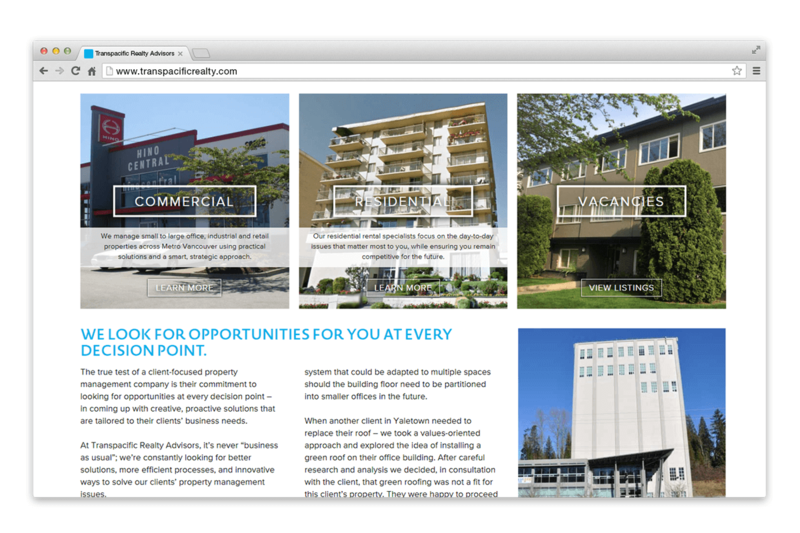 This website took time to complete as we worked side by side with the designer and copywriter to meet all requirements from these perspectives, creating the visual results with the right message while maintaining all the required functionality. 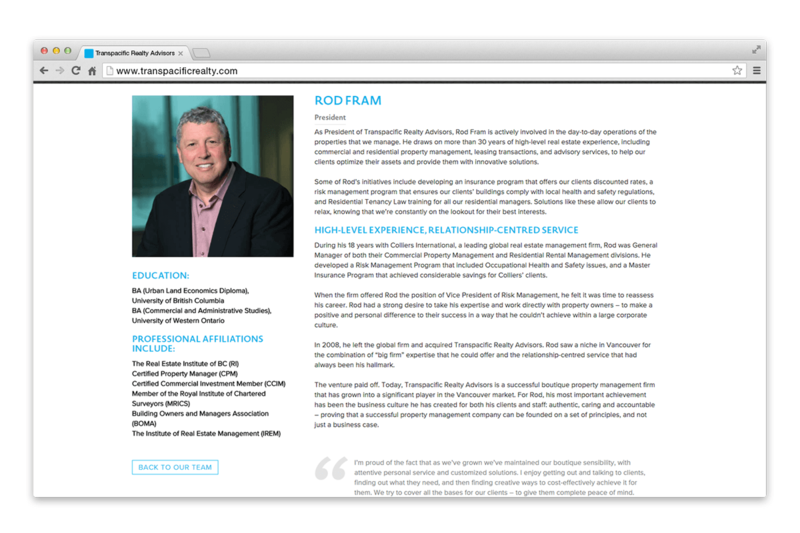 The result is a site that features a custom theme with enhanced admin functionality, a unique Video Learning Centre filled with client interviews and a website that will continue the success of Transpacific’s web presence.